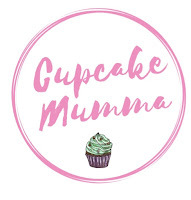 Cupcake Mumma: Six Surprising Clothing Trends Set to make a Comeback This Year! Linen is back in style. As you can see here linen is back. It has been a good 20 to 30 years since it was last this big. In the 90s, a lot of men and women were wearing linen suits or trousers. I for one am glad to see this durable, stylish, lightweight and environmentally friendly fabric making a bit of a comeback. It is especially good for very hot days because it allows your skin to breathe naturally. Sure, it can rumple a bit, but what material doesn’t? The great thing about linen is it washes up really nicely and dries very quickly. So, I for one will definitely be getting back into wearing it, this spring. Hemp and bamboo clothing are also back on trend. Both fabrics have finally gone mainstream and, this year, garments made with it are going to be far easier to find. For a while now, jeans have been getting baggier. 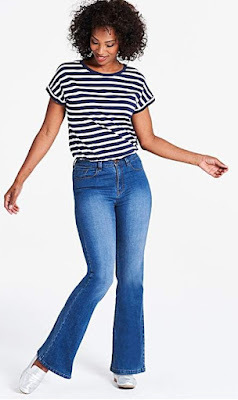 It is still easy to buy the skinny cuts we have all been wearing for nearly a decade now but the comfy, high waisted wide tapered cuts of the 90s are back in fashion. Just like last year, the all in denim look is set to be very popular. You have always been able to get your hands on jeans and jackets. Now, you will find that denim shirts are widely available. In the cool spring weather, they are great for staying warm in the evenings. For the summer months wear them as an alternative to a lightweight jacket. If you like colourful clothes that are not super bright keep an eye out for tie-dyed t-shirts, blouses and comfy slouch trousers. They look especially good when you pair them with something plain. In the late 80s and early 90s, everyone was wearing track suits or shell suits. From the looks of things, we will be doing the same this year. For years now, I have been couponing and using discount codes to save money. You will be surprised by how much more you can buy when you get into the habit of looking for discounts before you buy. In this article, I explain a little known way to grab yourself a bargain. This method works whether you are shopping for food, clothes or accessories. So, why not click the link and take a look!